I am scarred for life. My innocence has been shattered. 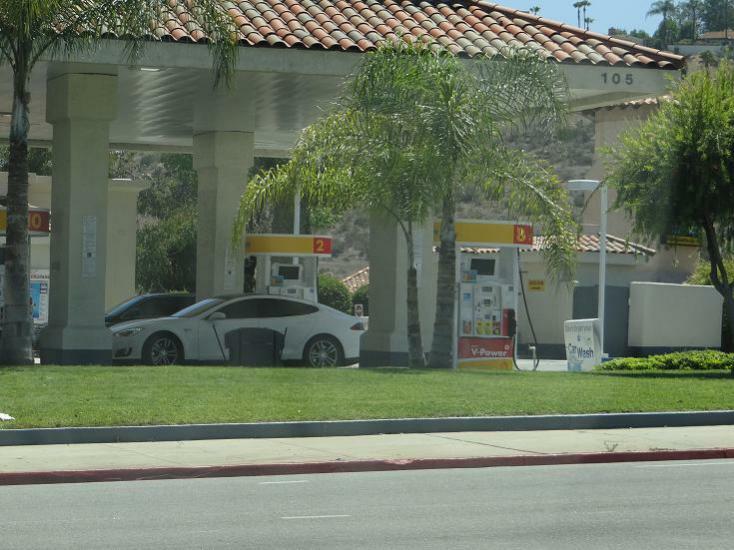 I always viewed Teslas as a pure bride undisturbed by nasty gasoline, but after driving home to day and seeing what I took a picture of (below) I'm now the one who is disturbed. Wondering if maybe the driver stopped for cigs or something else and parked by the pump as some gas stations don't allow parking by the fire lane next to the building. Wishful thinking here. Also, Tesla Motors is putting up charging stations all around the continental US between major cities that all owners may use any time, free of charge - perhaps this station has one. Could be cleaning his windows lol. LOL Wouldn't we all if we owned one? Cost of 15K in recharges is about $600 depending on your Utility contract.